With Lightning opening play for the Tyrrells Premier 15s season, their clash with Richmond promised to be dramatic and the game did not disappoint. Lightning looked dangerous from the offset and didn’t take long to take the lead from the boot of Daley-Mclean. After a prolonged period of pressure from the home side, Lightning’s dominant forwards were rewarded with a try from Sarah Hunter, after turning over the Richmond scrum. Daley-Mclean converted to take the lead to 10-0. 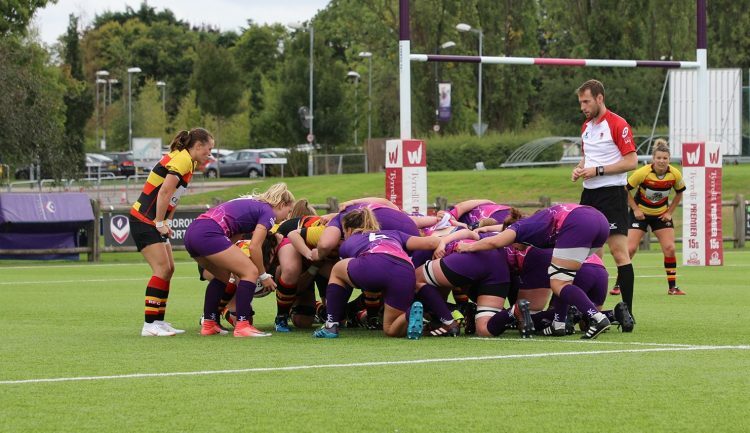 Continuous pressure from the Lightning forwards was again rewarded when numerous infringements at the scrum led to an inevitable penalty try, taking the score to 17-0 at into half time. The second half proved to be much more dramatic, quick off the mark Lightning’s Sarah Hunter struck for her second try of the game for another push over scrum. Richmond retaliated quickly with a turn over, spreading the ball wide and dotted down for their first score of the game. A turning point in the game for Lightning saw them receive a flurry of yellow cards reducing them to 11 players in the final 10 minutes of the game. With four players in the bin for Lightning, Richmond turned up the heat, scoring twice and taking the final score to 22-19. Catch Lightning next in action at home on the 22nd September against Harlequins.